Is a multidisciplined artist of Chilean descent, working and residing in Spain since 1997. 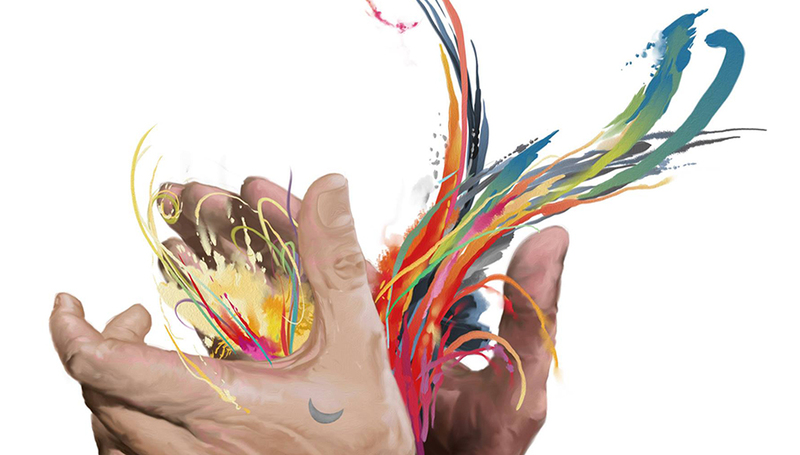 He studied Graphic desing at PUCV, Catholic University in Valparaiso. Alejandro specializing in drawing and realistic painting. Uses diverse techniques that are both traditional and experimental to create his images and concepts. He is a profesional illustrator for the advertising and editorial world. His idea is to be an “all terrain” illustrator for any kind of image, object or theme. He uses all techniques, both traditional and digital, using all tools available. Traditional realism techniques on paper, canvas, or wood, using pencil, charcoal, pastels, oil paint, acrylic, or water color. Realistic and conceptual illustration on paper or digital. Any kind of illustration for Advertising and publishers. Photo retouching. Drafts for presentations. Story board frames drawn or by photo retouching. From script even if you send the script by mail. Animatics. Concept board. Shooting board. Photo retouching, illustration and 3D combined to creation of any type of image or matte painting. Layers of animation for motion graphics. 3D and 2D animation. Motion graphics. Animatic. 3D modeling and rendering. 3D Architectural Visualization. Organic Modeling. Stand Desing. Animation. Graphic design. Corporate Image. Logo design. Stand design and furniture design. Character design for cinema and Television. Animation design. Costume and set design. All rights reserved. Unless otherwise indicated, all materials on this pages are copyrighted. No web part of these pages, either text, audio, video or images may be used for any purpose other than personal use, unless explicit authorization by the author Alejandro Bahamondes. Therefore, reproduction, modification, storage in a retrieval system or retransmission, in any form or by any means, electronic, mechanical, or otherwise, for reasons other than personal use, is strictly prohibited without prior written permission.